This entry was posted in Tossman Cryptic Crossword Solutions and tagged answer, crossword, cryptic, explanation, help, solution, tossman on November 2, 2018 by pavlov.a. Hi Tres… An ‘EXPO’ is a trade fair (short for ‘exposition’) and ‘RT’ is short for ‘radio-telephony’. ‘Do business internationally’ is the definition. Great, thanks. 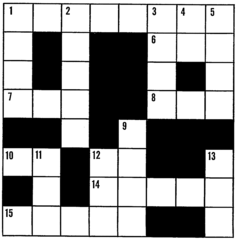 That’s often one of the idiosyncrasies of cryptic crosswords, I think, where you can find the solution but don’t know why it works!